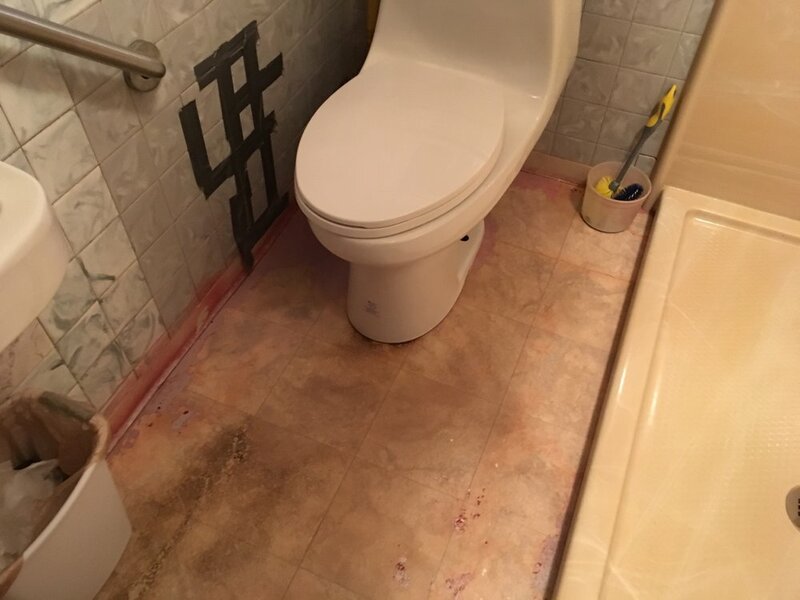 Unfortunately not everyone who needs the unique experience and expertise that Pete Fowler Construction Services, Inc. (PFCS) has can afford it. Wayne Faulk is a 74 year old developmentally disabled man and the lifetime beneficiary of a trust, set up by his father after his mother died, that was intended to allow Wayne to live in his childhood home for the remainder of his life. Sadly, the trust assets were a tempting target and they were depleted over the years through waste and mismanagement. The Oregonian published the sad story in January 2017, on December 7, 2017 and on December 22, 2017. The property is in Oregon City, OR and has 41 acres of farmland, a 3,000 square foot 1901 farmhouse, a two car garage, a shed and a dilapidated barn. Mr. Faulk could stay in the home if the trust could obtain a reverse mortgage against the value of the property. Unfortunately the home and property are not in good enough condition to qualify for a mortgage. Without the reverse mortgage, Wayne Faulk will be moved out of his home. Thankfully for Mr. Faulk, lots of neighbors and caring local professionals have stepped in to help. Mike Maples of PFCS was approached in February 2018 by one of our clients, attorney Steven Cade of Williams Kastner, who asked if we could lend a hand on a case he had taken. Both Mike and Paul Viau jumped in to help, applying our Building Rehabilitation Process, free of charge. On Saturday, March 17, 2018 Paul Viau and Mike Maples lead the first community volunteer work day, and made great progress! Steven Cade of Williams Kastner is the attorney representing Wayne Faulk. Without Steven, none of this would have been possible. Paul Viau of Pete Fowler Construction Services, Inc. lead the planning of the work, composition of the repair specifications, and lead volunteers on-site in cleaning and repairing the property. Mike Maples of Pete Fowler Construction Services, Inc. created the opportunity, planned the work, and volunteered in cleaning up and making repairs to the Faulk Residence. There are MANY more to be added here in the days to come. Please contact Anete Kalnina (T: (503) 660-8670 E: anete.kalnina@petefowler.com) if you are interested in volunteering or donating services or materials. No construction experience necessary! But if you DO have construction experience, we really NEED your help!! We need a licensed contractor to demolish the barn, remove the debris, and repair the grade so it's safe. And we need it cheap (not free, but cheap). If you know someone, please refer us right away. It's a great opportunity to a good deed. Success is a team sport. And no one helped more than PDX Paint Solutions on this project. The barn needs to be demolished and removed from the property. As you can see, the exterior of the residence needs repairs and new paint. The interior is generally in fair condition, but requires minor maintenance and repairs to allow the trust, that Mr. Faulk is the beneficiary of, to procure a reverse mortgage, so that he can remain in the home, as his parents had intended. Article of the Week: "Turning Negative Thinkers Into Positive Ones"
In a recent article from The New York Times, Personal Health columnist, Jane Brody, explores the advantages of positive thinking – even if only for a few moments a day. Barbara Fredrickson is a psychologist at the University of North Carolina. She has done extensive research on fostering positive emotions and came up with a theory called "micro-moments of positivity." These micro-moments refer to events from everyday life. Fredrickson's research shows that people who are able to generate positive thoughts and feelings towards everyday tasks are more likely to succeed than those who do not. Negative thoughts, feelings, and emotions are normal phenomenon of life. However, Fredrickson's research proves that "chronically viewing the glass as half-empty is detrimental both mentally and physically and inhibits one’s ability to bounce back from life’s inevitable stresses." The amygdala is the part of the brain which processes negative emotions. Another researcher and neuroscientist, Dr. Richard J. Davidson found that people who recover slowly from negative emotions such as fear, anxiety, or threat are more likely to develop health problems. Both Dr. Fredrickson and Dr. Davidson found that practicing mindful meditation with a focus on kindness and compassion generate changes in the brain that increase positive thoughts, emotions, and behaviors. Do good things for people around you - even if it's as small as opening the door for someone! Appreciate the world around you. It's the little things that make life great. Take a detour to watch the sunset or admire the trees swaying in the wind. Develop and bolster relationships. Surrounding yourself with friends and family increases self-esteem. Establish goals that can be accomplished. Being un-realistic about goals can be a downer when they don't come to fruition. Aim high, but keep yourself grounded. Learn something new. Again, be realistic! Don't frustrate yourself by trying something you're going to fail at - ease into it. The more you learn, the more you want to learn. Choose to accept yourself, flaws and all. Narrow in on your positive attributes. The rest are pesky details. Practice resilience. Use your negative encounters as learning experience for how to better handle your emotions in the future: "When life gives you lemons, make lemonade." Practice mindfulness. "Let go of things you can’t control and focus on the here-and-now. Consider taking a course in insight meditation. Here at PFCS, we strive to keep a positive environment. To maintain an upbeat atmosphere, it is important that each of us exercise a positive attitude. The more positive feelings and emotions harvested in the workplace, the more productive we can be! The list above is a nice, concise summary of best practices we can use both in our work and in our personal lives. Article of the Week: "For Want of a Comma, We Have This Case"
Earlier this month, the FindLaw blog posted an article highlighting the importance of grammar and editing, especially in the legal field. This article discusses the state of Maine's case of O'Connor v. Oakhurt Dairy. In this case, dairy delivery drivers were fighting their employers for overtime pay. However, Maine's law requiring employers to pay workers time and a half after 40 hours a week exempts a variety of jobs in the food production industry. The law excludes "canning, processing, preserving, freezing, drying, marketing, storing, packing for shipment or distribution." This case was brought to court to settle the dispute over a misinterpretation due to the lack of an oxford comma. The dairy drivers argued that the grammatical format of the law required they be paid overtime, while the Oakhurt Dairy strongly disagreed. Both parties referred to the Cannons of Construction in their defense, but there was not enough evidence to fully support either side. In the end, the courts settled in favor of the drivers because of the unclear interpretation of the law. Clarity of written communication is critical. Construction is not theoretically difficult to understand; it's not much more than sticks and stones stacked neatly. If we, as contractors, can't communicate our message clearly to someone who does not have much background in construction, it is a problem with the communicator (us), not the communicatee. He's done it again! In a December 2016 posting of Gatesnotes: The Blog of Bill Gates, he personally summarized the six books that he considered the best he read during the year. In the article "My Favorite Books of 2016," Gates claims that although there are more ways to learn today than ever before (ie. online), books are still his favorite way to obtain information about a new topic. String Theory by David Foster Wallace is a collection of five essays on tennis - however, it is not important to play or watch the sport to find the book interesting. Gates claims, "The late author wielded a pen as skillfully as Roger Federer wields a tennis racket." Shoe Dog by Phil Knight is a memoir that reflects the trials and tribulations of building a successful business. The Gene by Siddartha Mukherjee delves into the past, present and future of genome science. Bill Gates is (A.) one of the richest and most successful men in the world and (B.) known to be a voracious reader. So, when he takes his valuable time to summarize the books he says are the best he read all year, everyone eager to expand their knowledge should sit up and listen. These books touch on "how things work," the physical world, and offer insight into the human condition. These are all things we are interested in. As the year comes to an end, we tend to see a lot of "Top ___ of 2016" articles floating around. This week, we are taking a look at the preliminary list of OSHA's Top 10 Violations for 2016. The list consists of violations through September 30, 2016. 1. Fall Protection - While the data shows that 39.9% of deaths in the construction industry are fall-related, this citation remains one of the most common violations year after year. In 2016, there were just under 7,000 violations. 2. Hazard Communications - This year, there were a total of 5,677 hazard communications violations. When two parties work together on a project, it is both parties' responsibilities to ensure worker safety. Violations included inadequate training, outdated data sheets and lack of programming to address hazard chemical exposure. 3. Scaffolding - With about 3,900 violations, fall protection plays a large role in scaffolding. The most common violations were improper assembly and insufficient access. 4. Respiratory Protection - OSHA found various instances where companies failed to provide medical evaluations of employees who wore respirators in situations with overexposure to contaminants and instances where respirators were not property fit-tested. There were a total of 3,585 violations in 2016. 5. Lockout/Tagout - 3,400 citations were given for improper, inconsistent and nonexistent lockout/tagout training procedures. 6. Powered Industrial Trucks - There were about 2,900 instances where trucks were being operated in an unsafe manner, including being driven by uncertified workers. 7. Ladders - Citations were given when ladders were not being used according to design specifications. There were about 2,600 violations in 2016. 8. Machine Guarding - Machine guarding is hazardous and if machinery are not anchored/fixed, it can lead to amputation. There were almost 2,500 violations. 9. Electrical Wiring - Violations included unsafe substitutes for permanent wiring and dangerous use of extension cords. 10. Electrical, General Requirements - Improper installation of electric equipment was the most common electrical violation of 2016 with 1,700 citations. PFCS is dedicated to provide an environment that is free of accidents and to ensure that every employee is provided safe and healthful working conditions free from recognized hazards. Thinking about making a really big adjustment in your life? Then you owe it to yourself to have coffee with 50 people. In a recent article, Peter Thomson discusses a technique he has used to help him with major life decisions. Each time you decide you want to make some sort of major life change, whether it be raising investment for a start up, moving to a new city, or changing careers, you should have coffee with 50 people to get their views on your plans. Setting a precedent of having coffee with 50 people forces you to be clear about your goal, makes it stronger, and makes you commit to the move you want to make. You also will receive great input from smart and interesting people. Thomson first came across the idea while reading the book, What Colour is Your Parachute?. Although he was not the first to come up with the idea, he realized the hidden insight in it, in that the biggest changes in your life will only happen through the people that you meet and conversations you have. Humans create and convey meaning through stories and conversations. If you change the conversations that you’re a part of, then your life changes automatically. Now, this isn't supposed to be coffee with 50 total strangers. Most of the people will be friends/acquaintances, but you should also be open to meeting new people. Think one degree of separation. Ask the people you know if they know of anyone interesting you should meet and go from there. Try and find people with different backgrounds, you might meet some great people and make new friends! The author had 50 coffees when he left law for design. He did it again when he moved to London, and most recently when he published a book. The 50 coffees idea had worked so well for him in the past, that he realized his best ideas came up during heated conversations because people tend to think better when they have an intelligent partner to debate with. Here at PFCS, we're always making improvements to our company in order to better serve our clients and the community. We may not always have 50 cups of coffee for every improvement, but we do conduct "team consulting sessions" over coffee with our staff when large improvements are considered. These sessions typically last 10 to 30 minutes or sometimes as long as an hour when several ideas and suggestions are brought into the mix. So, the idea in this article goes hand-in-hand with that thought process. In a recent New York Times article by Tony Schwartz, he provided valuable commentary on sustaining high job performance from employees. Countless leaders and managers are up at night thinking about how to drive sustainable high performance in an era of relentlessly rising demand. The vast majority of salaried employees are already putting in more hours and paying a price that they find less and less acceptable; being exhausted and overwhelmed. What is the win-win solution for employees and employers? Most companies invest in building the skills of their employees, but few of them systematically invest in building people’s capacity to perform at their best. We feel at our best when four core energy needs are met: sufficient rest; feeling valued and appreciated; having the freedom to focus in an absorbed way on the highest priorities; and feeling connected to a mission or a cause greater than ourselves. More than 20,000 employees around the world were studied to confirm how powerful this can be. Employees who took intermittent breaks throughout the day reported 28% better focus and a 30% higher level of health and well-being. Feeling treated with respect made employees feel 55% more engaged and 110% more likely to stay at the company. Employees who felt the most recognized and appreciated were 100% more likely to stay with their organizations. Only one-fifth said they were consistently able to focus on one thing at a time at work, but those who did reported that they were 29% more engaged at work – and far more productive during the day. Seek to meet the basic needs of employees, and they will bring vastly more of their potential and productivity to the job every day. The goal of Pete Fowler Construction Services since its' inception was to do AWESOME work, but not have to beat the hell out of everyone to get it. All employees want to feel appreciated and that they are an important piece of the puzzle. Providing tools to complete our tasks is important, but providing respect and appreciation is vital and is the foundation of PFCS. The point is, he's really smart. I had the honor of working with David for a long time and was the beneficiary of his brilliance, knowledge and wisdom. In this article, Answering the Tough Questions: A Forensic Approach to Consulting, David shares a small slice of his hard-won experience with us. dealing with the application of scientific knowledge to legal problems“. The forensic approach: Following a set of scientific rules, including the use of the research enterprise, scientific method, detailed and complete documentation, and integrity. THE RESEARCH ENTERPRISE: This is your project plan; the processes and principles for a systematic pursuit of information, and problem solving. The research enterprise includes defining the project and its purpose, the manner and type of information to be collected, and the variables are defined to create what is called the research. From there, the information is analyzed, its validity tested, and its reliability checked. SCIENTIFIC METHOD: A scientific method consists of the collection of data through observation and experimentation, and the formulation and testing of hypotheses. Steps include: 1. Problem Formation 2. Research Design 3. Data Collection 4. Analysis of the Data 5. Interpretation 6. Conclusions 7. Final Report / Presentation 8. Publishing 9. Re-Test. DOCUMENTATION: Detailed documentation is critical. You need to create detailed field and research notes, project background summaries, charts and graphs, photographs with annotations, indexes of documents reviewed, and summaries of statements and findings. INTEGRITY: Without your integrity intact, none of the other issues matter, because no one will listen. FORENSIC APPROACH: You have a legal responsibility to provide your client with complete and accurate information at a level of a competent consultant. The information you prepare will be viewed by your client and their attorney, possibly the court and jury, and by the other side. When you use a forensic approach there really are no tough questions, you have all the answers documented. CONCLUSION: Creating a system of checks and balances is what the forensic approach does naturally, standardizing your approach to every project in the same way. This tool provides you with a pre-established approach to dealing with any situation. PFCS' job is to combine technical construction expertise, project management discipline, technology and standards to solve building problems. This document is one of the key standards that we apply. All of our work should conform with the guidelines established by this article. Many people believe themselves to be multitasking masters, but could it all be in their heads? The founder of WordStream, Larry Kim, recently published an article in Inc. about the affects of multitasking. Our brains weren't built to multitask. There is perfectly clear science that our brains are "not wired to multitask." Some even refer to email/Twitter/Facebook-checking as a neural addiction. Multitasking lowers your work quality and efficiency and multitaskers experience significant IQ drops similar to what you see from skipping a night of sleep or smoking marijuana. Multitasking increases production of cortisol, the stress hormone and reduces your effective IQ by 10-15 points! Protect yourself: establish an e-mail checking schedule. Commit yourself to checking emails only three times a day, (maybe when you get into work in the morning, at lunch time, and before leaving work at the end of the day). Turn off texting notifications and choose specific times to check your phone as well. Turn off notifications, create set email checking time slots throughout the day (rather than constant inbox refreshing), and put your mind to the task at hand. The damage could be permanent: MRI scans on the brains of individuals who spent time on multiple devices at once (texting while watching TV, for example) showed that subjects who multitasked more often had less brain density... Multitasking men have it the worst. Our work is hard and requires us to think. We should consider setting company standards around email and other interruptions. Our work space design has an impact on distraction and we should think about it hard. In a December 2015 posting of Gatesnotes; The Blog of Bill Gates, he personally summarized the six books that he considered the best he read during the year. And there's even a video! The Road to Character by David Brooks. This New York Times columnist examines the contrasting values that motivate all of us; the traits that lead to external success and the traits that lead to internal peace of mind. The Explainer: Complicated Stuff in Simple Words by Randall Monroe. Using only the 1,000 most common words in the English language, Mr. Monroe explains various subjects. This is a brilliant concept, because if you can’t explain something simply, you don’t really understand it. Being Nixon: A Man Divided by Evan Thomas. Journalist Evan Thomas writes a more balanced account of Richard Nixon and gives you a sharp insight into the inner workings of a brilliant, flawed and conflicted man. Sustainable Materials With Both Eyes Open by Julian M. Allwood, Jonathan M. Cullen, et al. These authors look closely at the materials that humans use most, with particular emphasis on steel and aluminum, and show how we could cut emissions by up to 50% without asking people to make big sacrifices. Eradication: Ridding the World of Diseases Forever? by Nancy Leys Stepan. Stepan’s history of eradication efforts provide a clearer sense of how we can use the lessons of the past to guide future efforts to save lives. Mindset: The New Psychology of Success by Carol S. Dweck. Through clever research studies and engaging writing, Dweck illuminates how our beliefs about our capabilities exert tremendous influence on how we learn and which paths we take in life. Bill Gates is (A.) one of the richest and most successful men in the world and (B.) known to be a voracious reader. So when he takes his valuable time to summarize the books he says are the best he read all year, everyone with a brain should sit up and listen. These books touch on “how things work,” the physical world, and offer insight into the human condition. And these are all things we are interested in.